About Robbie Cooper: Independent recording artist snd vocalist in the style of Peter Gabriel, Phil Collins and early Genesis. Critics have called Robbie Cooper " The Next Peter Gabriel" and "The New Phil Collins" although his vocal range and style is truly his own ... with the hint of his heroes always evident. 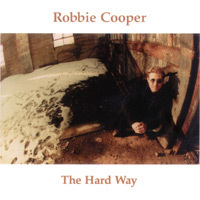 Robbie Cooper played his first gig at Larry's Hideaway in downtown Toronto, when he was only 15 years old. A few years later, he was signed to A&M records with his band 7 Minutes. Robbie's next project was forming the band Thurman Fry which won the "$100,000 Discovery to Disc Contest" sponsored by CFNY-FM in Toronto. 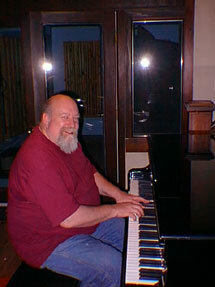 The band was honored to also win recording sessions with Muscle Shoals, from Muscle Shoals, Alabama. 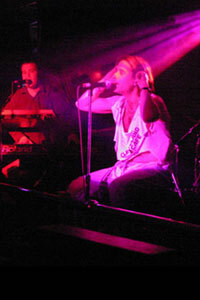 In 1985, Robbie Cooper started performing covers of the music he loved, the music of early Genesis. As a founding member of the very popular Toronto based Genesis tribute band, Over the Garden Wall, Robbie Cooper helped pave the way for other Genesis cover bands to follow. After 10 very successful years with Over the Garden Wall, Robbie relocated to Utica, New York and formed the Genesis tribute band Seconds Out. Cooper remains front-man of this band, that still tours for it's loyal following in the New York state area and Cleveland, Ohio. In the classic style of early Genesis live performances, Robbie uses elaborate costumes, stage make-up and assorted props, creating a multi-media event and delighting audiences with his strong and solid vocals that hold an uncanny likeness to Peter Gabriel and Phil Collins. 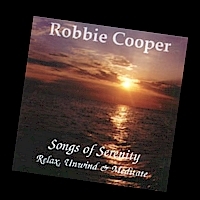 Robbie Cooper writes and performs original music that is heavily influenced by the progressive rock styles of the 70's. 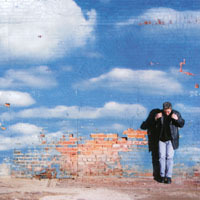 He has released three CDs as a solo artist, year to date: "The Hard Way", "Songs of Serenity, Relax, Unwind and Meditate" and "Drowning in Reality." All have received airplay on several radio stations in Canada, Europe, Poland and the Netherlands. 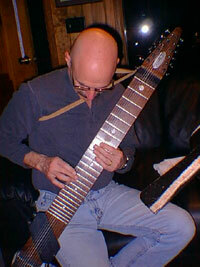 On his latest CD, "Drowning in Reality", Cooper utilizes world class musicians and legends like, Tony Levin on the Chapman Stick, known for his studio work with Peter Gabriel and his live playing with Seal; Producer Steve Burgh on guitar, bass, and keys, known for his work on Billy Joel's "The Stranger" LP, as well as his work with Willie and Phoebe Snow. Live horns, contributed by the Uptown Horns, known for their work with the Rolling Stones, and live strings thicken this already jam packed star-studded CD. Lets not leave out drummer Eric Parker (Joe Cocker, Faith Hill, Warren Zevon) who makes this already rock-steady foundation a wonderful backdrop to Cooper's pleasant sounding melodic vocal style. As Cooper explains "The creative process, working with such giants in the music industry, was an experience I'll never forget. I am very excited to take some of my new material and showcase it for the public. 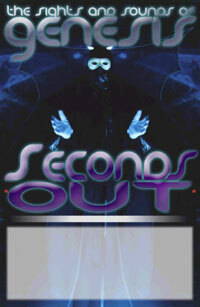 We will be adding a few original tracks to our Seconds Out (Genesis Tribute Band) show. I can't wait to perform them in a live setting."